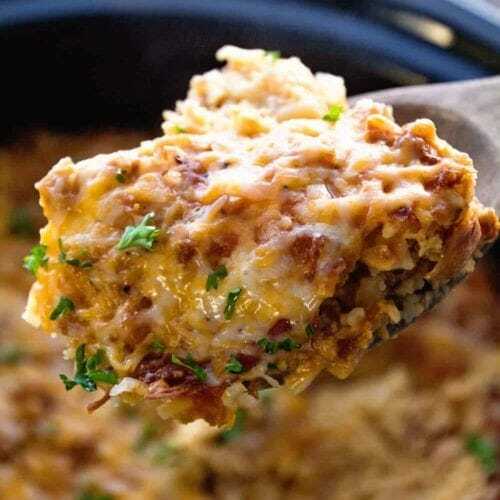 Turkey Crockpot Breakfast Casserole ~ Wake Up to Breakfast Ready in the Morning! 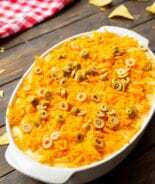 This Make Ahead Breakfast Casserole Recipe Cooks During the Night so You Can Enjoy Breakfast! Stuffed with Turkey Sausage, Hash Browns and Eggs! 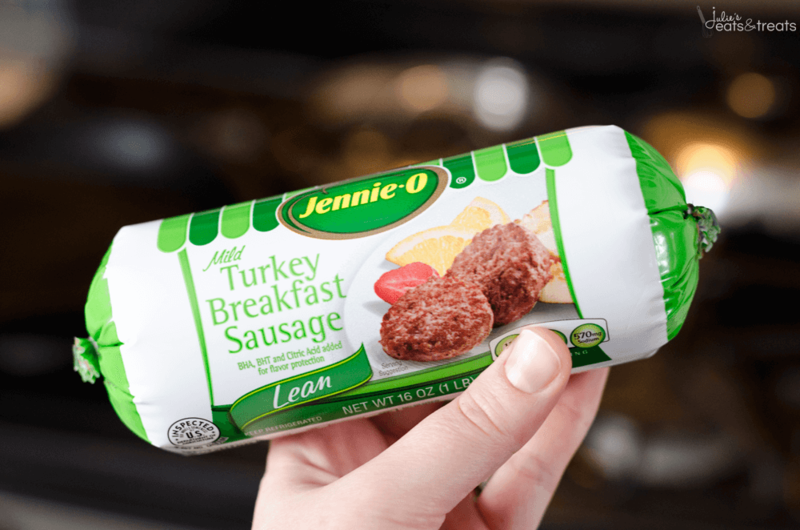 I’m so happy to be partnering with Jennie-O to bring you this amazing breakfast! As many of you know I’m sorta the Crock Pot Queen and I embrace that title with passion. 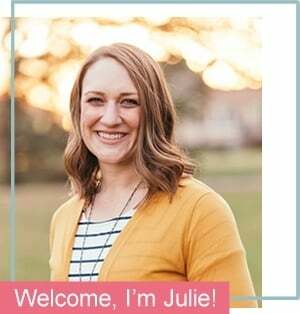 One of my blogging friends, Lisa @ Wine & Glue, first coined that nickname for me and I’ve done my best ever since to bring you more of that awesomeness because, really, who doesn’t like a Crock Pot recipe? You guys went CRAZY for this Crock Pot Tater Tot Egg Bake so then I made up this round up of 25+ Crock Pot Breakfasts and you literally gobbled that stuff up. Since we seem to have a good thing going on here with the Crock Pot breakfast idea I decided it was high time we needed another one! Duh! I’m totally hearing a round of applause right now on the other side of that computer aren’t I? Come on, give it up for the Crock Pot breakfasts! On this fine morning that I made this Turkey Crock Pot Breakfast Casserole I woke up to the smell of heaven on earth. We’ve been through this a million times, but I’m going there again. I am NOT a morning person. I will grumble, moan and wish upon many stars I can go back to sleep when that alarm goes off or if it’s the weekend I’ll pray that child goes back to sleep so I can too. Someday when they are teens I’m going to try to out sleep them every single Saturday morning. Promise. Of course by that time I probably won’t need as much sleep. Life is funny like that isn’t it? Back to heaven on earth. This breakfast. That’s what heaven on earth is. 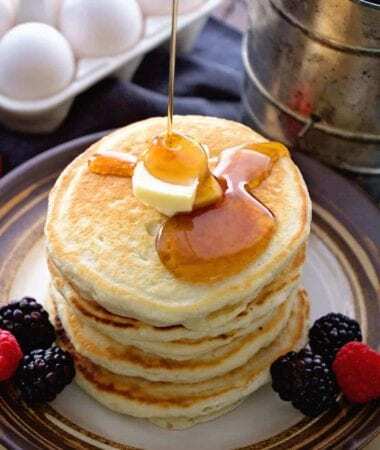 Since we have established the “I’m not a morning person” thing then you can rest assured getting up to make an amazing breakfast or even brunch really isn’t happening around here. Nope. Nada. They go to Dad for that stuff. So when I woke up to the smell of this amazing breakfast casserole I may have got out of bed a smidgen of a second faster than I would have normally. Nope, don’t get all excited that I LEAPT out of bed. Ain’t happening unless I got news I won the Powerball or something. So, I trudged out of bed and put the Crock Pot on the table filled with this amazing breakfast casserole, threw some plates on the table and said dig in. And dig in did my family. Oh my goodness. This stuff was epic. It was cheesy and perfectly spicy from the Jennie-O breakfast sausage and delicious. Then, because this makes enough to feed a large family, I packed it up and brought it to my parents. Followed by my brother making an appearance because he heard there was breakfast. I’m proud to say there wasn’t a crumb left. 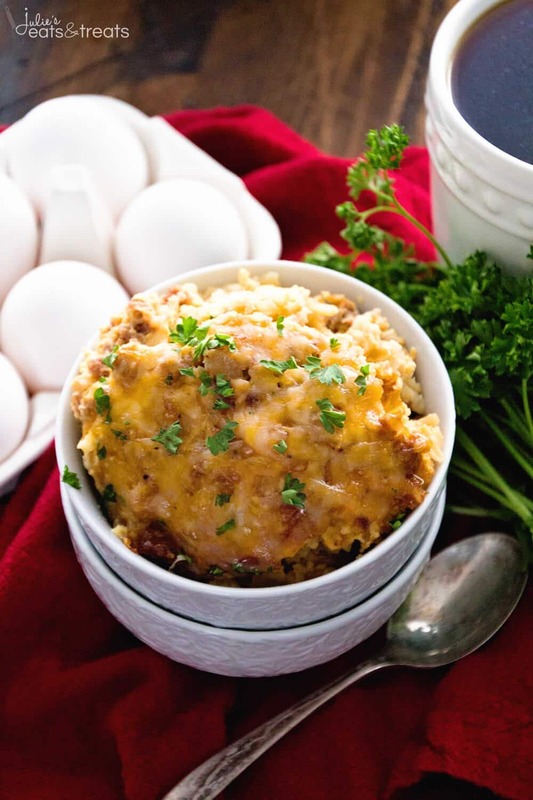 Be a rockstar this weekend and make this Turkey Crock Pot Breakfast Casserole! Your family will be applauding you! Wake Up To Breakfast Ready In The Morning! 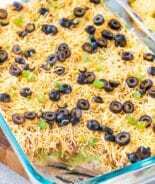 This Make Ahead Breakfast Casserole Recipe Cooks During The Night So You Can Enjoy Breakfast! Stuffed With Turkey Sausage, Hash Browns And Eggs! 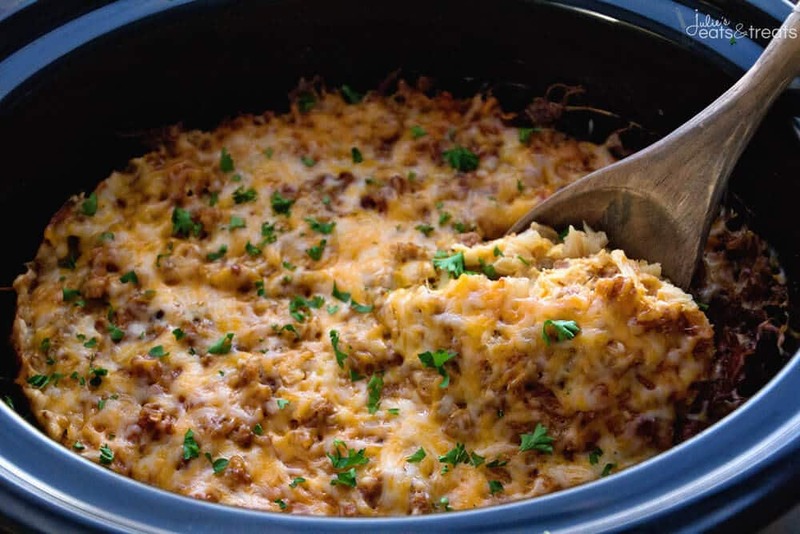 In a greased 5-quart or larger slow cooker, layer 1/3 of the hash browns, turkey sausage, onions and cheese. Repeat these layers twice ending with the layer of cheese. 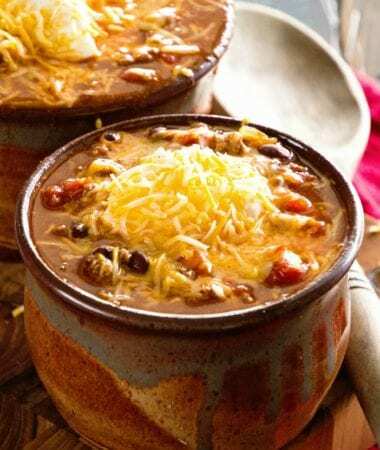 In a large mixing bowl whisk together the remaining ingredients and pour over the ingredients in the slow cooker. 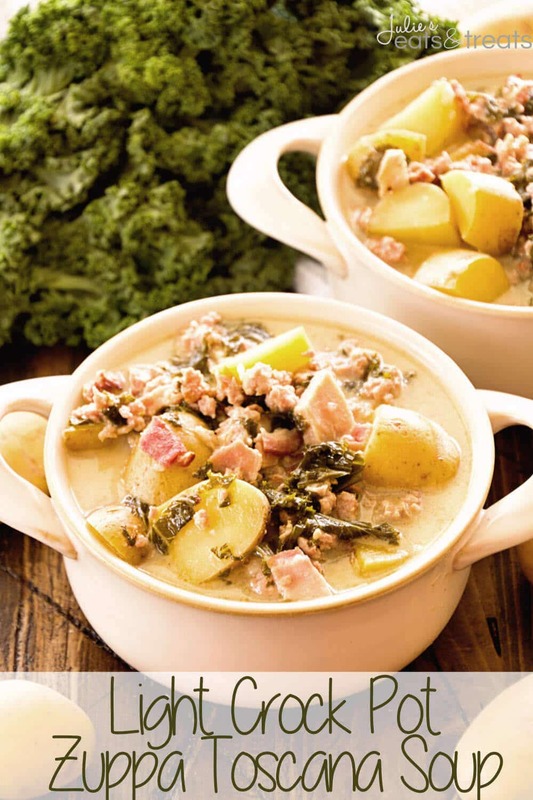 Light Crock Pot Zuppa Toscana Recipe ~ A Delicious Copy Cat Recipe of Olive Garden’s Zuppa Toscana But Even Better Because It’s Slow Cooked in Your Crock Pot and Lightened Up! I would love to wake up to this for breakfast! 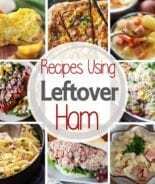 Slow cooker meals are my favorite! 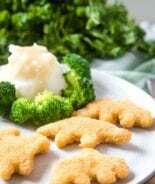 Looks so comforting and delicious! Slow Cooker breakfasts are the best!!! Well, anything in the slow cooker is pretty awesome! 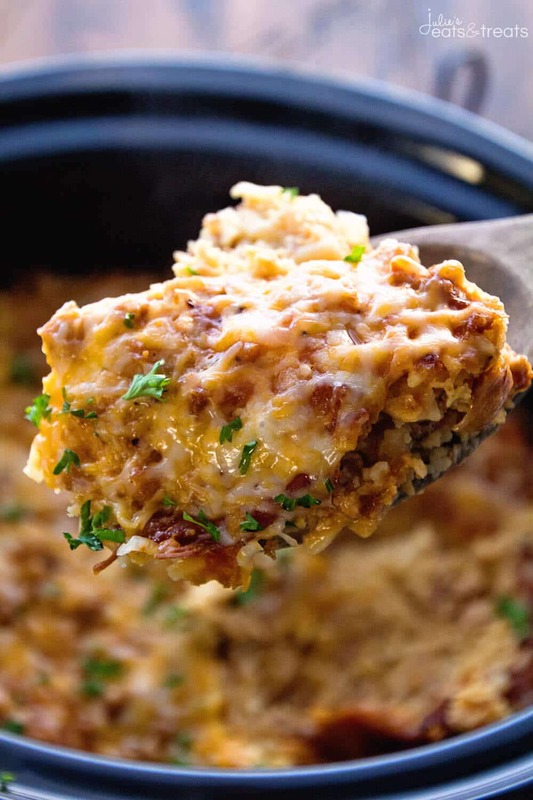 I love turkey sausage so much and I LOVE that you made this breakfast casserole in the crock pot! Genius!! Looks so comforting and definitely like heaven on earth for sure! And I am a fellow non-morning person too so I am especially loving this!! Oh wow, I wish I was waking up to something this delicious EVERY MORNING! 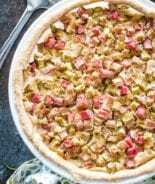 Can you make the Turkey crock pot casserole on a higher setting for longer, if it’s stirred? I have made this several times, love it! Didn’t realize to cook overnite. Can I still cook it in 3-4 hours? At what temperature? I’d cook it on high for 3-4 hours.